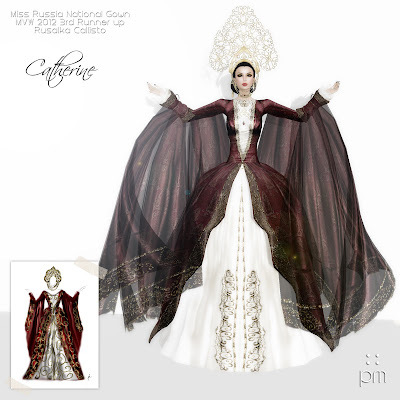 Miss Virtual World 2012 - Gowns | ! *PurpleMoon Creations* ! It has been such an amazing journey to get to work with four wonderful women. Going back and forward with ideas, pictures, sketches and talks, it has been absolutely incredible. Caoimhe, Nala, Falbala and Rusalka, I can only say thank you. You are amazing professionals and outstanding human beings. I am delighted to have met you and to me, you are all winners! I hope to keep you as my friends and I wish you the best on this new year. We did these very simple shots using some custom poses my friend wetcat Flux (pumpkin!) made based on my original drawings of these gowns. We wanted to show a little bit of the before and after, and basically how dreams can come true when you work hard to achieve them. Thank you so much lovely ladies!